It's nothing new: whenever WordPress rolls out something, everybody jumps on it right away. And the Gutenberg editor is the most talked about topic in the WordPress community right now. Why not? Powering more than 28% of the web has put many to speculate what new writing experience WordPress plans to introduce. It’s nothing new: whenever WordPress rolls out something, everybody jumps on it right away. And the Gutenberg editor is the most talked about topic in the WordPress community right now. Why not? Powering more than 28% of the web has put many to speculate what new writing experience WordPress plans to introduce. 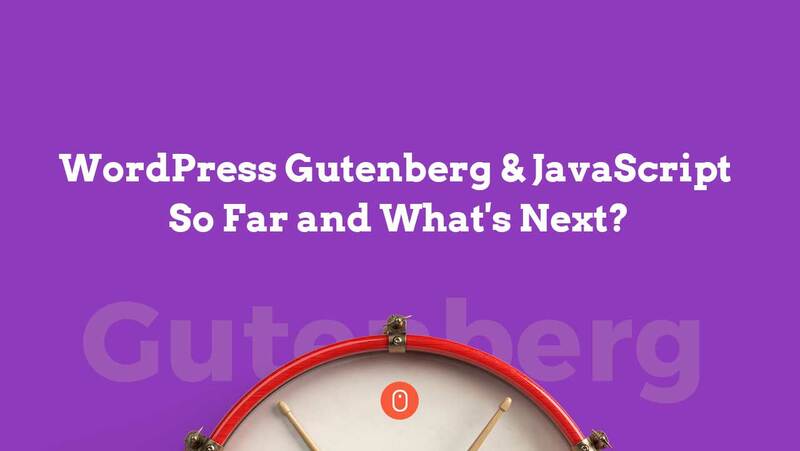 Gutenberg was announced early this year and grabbed a mixed response from the community. An obvious reason could be that people were not exactly aware of how Automattic plans to execute the project. The most precise explanation which one could find was that not only will Gutenberg do away with the TinyMCE editor but will also replace a whole bunch of other modules — what we call as the blocks layout. Now, if you ask a beginner or a non-tech junkie to respond, he’ll probably fade away because the TinyMCE editor is the most familiarised face of WordPress. In short, it could be the end of WordPress as they can term it. To help people understand and know more about the new Gutenberg editor, a beta version was made available as a plugin with a CTA of testing it and sharing your feedback. Since its launch, Gutenberg caused quite a stir in the WordPress community. While considering it, a hot debate people started to brain dump their thoughts according to the best of their knowledge. However, nothing was more important than what Matt Mullenweg wrote by announcing the WordPress-React breakup. This took the WP community by storm as well as a concern for several businesses/agencies which use React as their parent programming language. The news followed a massive response from the community and IMHO the most viral discussion forum was the Gutenberg’s GitHub issue by Ahmad Awais. It all came to peace when Facebook announced the relicensing of React under MIT license. So, Did WordPress Just Influence Facebook to Relicense React Under MIT License? Ahmad penned down his reasons for it. It’s a nice write-up! Even Matt was excited about the news and announced that ‘now React could be an officially-supported option as well‘. Currently, it seems that WordPress Gutenberg is back on track allowing developers to write Gutenblocks in the library of their choice including React, Preact, Polymer, or Vue. Though the formal announcement is still not made. A lot is being discussed in Slack meetings, Facebook groups, Twitter polls, GitHub repo, etc. It is very important to be a part of this and being a WordPress user you should know where the Gutenberg is directed to. Continues where is an interesting question which the entire WordPress community is looking forward to. To stay informed about “what’s new in the Gutenberg?”, you can be a part of the core development meetings. It is scheduled on every Wednesday at 20:00 UTC in the #core channel on Slack. And as they say, anyone can join and participate or listen in!